The city of Blainville asked Cyclone to design its new family policy booklets "Think & Act” for 2017, 2018 & 2019. Our team designed the graphic feel and set up the detailed pages. 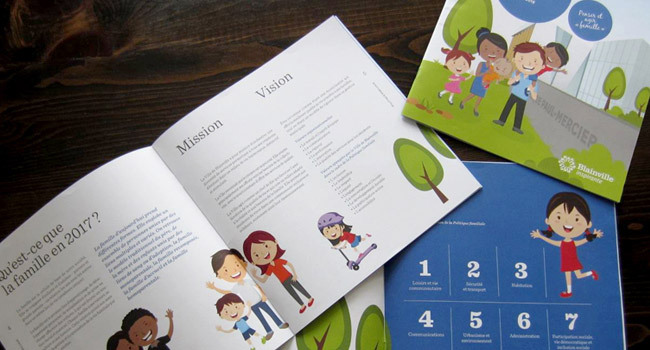 Simple design and colourful illustrations guide this short action plan to make it reader-friendly, showcasing the pedagogical project to families from Blainville.